When I saw hundreds of bloggers listening to someone talk about video streaming at Blogworld in Las Vegas today, I realized that the competition is so vast that I better turn up the volume on my DigiDame branding initiatives. I have been posting every day for almost a year and I am still not rich and famous. 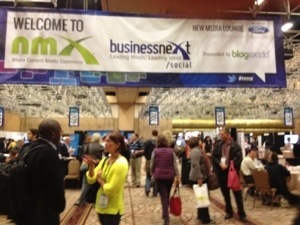 Blogworld, a conference and exhibition that teaches everything you need to know about being a successful blogger, is at the Rio Conference Center the same days as CES. 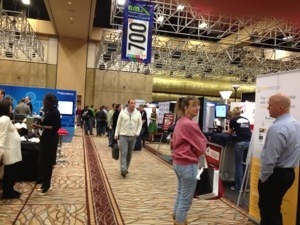 Since I am here before CES officially opens tomorrow, I decided to scout Blogworld out today. I was shocked to see the crowds of bloggers in the hallways, in the conference rooms, and walking around the exhibition center. I am not sure how many of these people make any money at being a blogger, but there has to be some potential, otherwise all these people would not exist. Michael Fields from WordPress, told me the number of bloggers writing about every topic imaginable is growing so fast that it is difficult to keep track of the actual count, but it is in the millions. Bloggers are made up experts, people who think they are experts (me), and folks who work for corporations that are allowed to express themselves on an independent platform. Don’t think bloggers are just unemployed people who have nothing better to do. Most bloggers have lots to share and are becoming as popular as well known journalists. The wonderful thing about blogging is that it gives the writer independent freedom. No one is monitoring the copy. 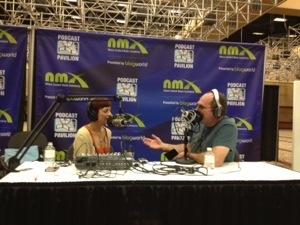 Blogworld also caters to podcasters, web TV and video creators, and social media pros. No matter if you are well-established in the online world or just starting out, Blogworld is a great networking platform. 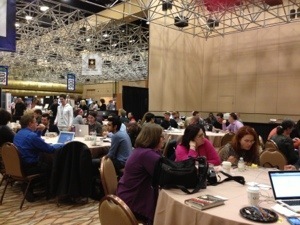 Bloggers from over 50 countries attend. One other great piece of advice from Fields is that I have to go to more blog meet ups. These local events will provide me with strategies and know how that will give me a stronger voice in the senior market. Tomorrow, I will be posting some very interesting finds at CES.